Do you have a half-finished kit tucked away in a closet? Maybe a parts set that is still in the box or missing pieces? A Northwest gun that hit a road block, or the maker just lost interest? Perhaps a chisel slipped and damaged the stock, or the stock broke? 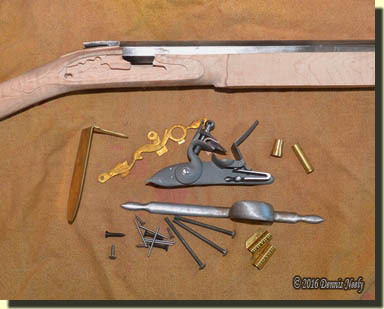 Know of someone at your club that has parts for a Northwest gun that they want to part with? Please email me with the specifics of what you have along with pictures (if possible) and we’ll go from there.